This is the cruise you want to be on, lots of time to spend diving at all the best sites in the Similan Islands. This cruise includes Koh Bon, Koh Tachai and 5 dives at Richelieu Rock, that way your chances of scuba diving with Whale Sharks are good to extremely good! Three days of amazing diving in Thailand's Similan Islands, this trip visits Koh Bon, Richelieu and possibly Koh Tachai, plus a few dives in the Similan Islands on the final day. It's a bitter sweet cruise because we can guarantee you 3 days is not enough time to see it all. ﻿See the majesty of Koh Haa and the beauty of Hin Daeng and Hin Muang pinnacles on this amazing southern Phuket liveaboard holiday. On the way back we also stop to dive at the picturesque Phi Phi Islands, we also spend a night on Phi Phi soaking up the party atmosphere. If you didn't already know it, liveaboard diving is the only way to truly experience the more remote and pristine dive sites that exist here in Thailand. Don't be a day tripper, be a liveaboard holiday diver, experience relaxation onboard and exhiliartion under the water by booking a cruise to the Similan Islands or Southern Phuket on the Scuba Explorer and see why hundreds of adventurer divers book with us every year and all say the same thing, that diving with us is the only way to dive! 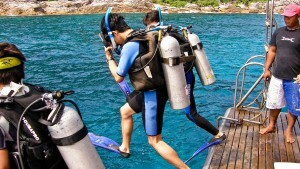 Scuba Explorer cruises also leave from within Phuket and not Khao Lak! If you are thinking about booking a liveaboard somewhere else, be warned, most liveaboard operators depart from a place 2 - 3 hrs North of Phuket, meaning a very long bus ride up and back. The Scuba Explorer travels overnight after departure, so there are no long bus rides to get to our luxury vessel before you depart for your dive holiday. We also have a team of dive instructors and underwater guides that are 100% guaranteed to impress, we only hire the best and brightest guides with extensive knowledge of the area's in which you'll be diving and a safety track record far exceeding all other operators! Only 6 hours from Phuket, miles away from anything resembling civilisation, in the heart of the Indian Ocean, lies the dive experience you've been looking for... Welcome to the Similan and Surin Island﻿s. Arguably the main attraction of diving in Burma is the great diversity of sharks that frequent the Mergui archipelago. With a bit of luck, you'll be taking home photos of a few different species. Close to the Malaysian border, 32 Nautical miles Northwest of Langkawi, lies the Adang Archipelago, home to the most remote dive sites in the Kingdom of Thailand, situated in the Tarutao National Marine Park. Exploring the Best Dive Sites Thailand has to offer! 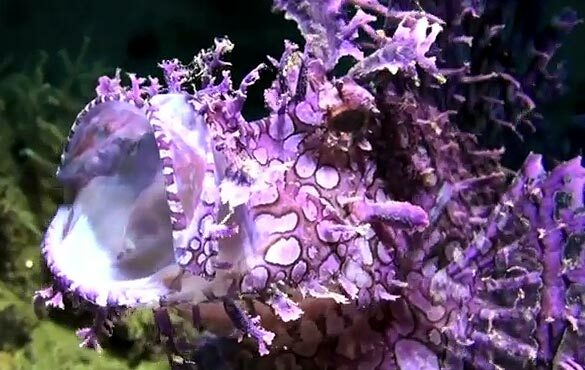 Pictures can say a thousand words and video is even better, check out this short 52 second liveaboard scuba diving movie made by the Scuba Explorer team! You can also click on any of the marine wildlife below to see a short clip of the encounters we have when diving from the Scuba Explorer on one of our luxury liveaboard holidays. 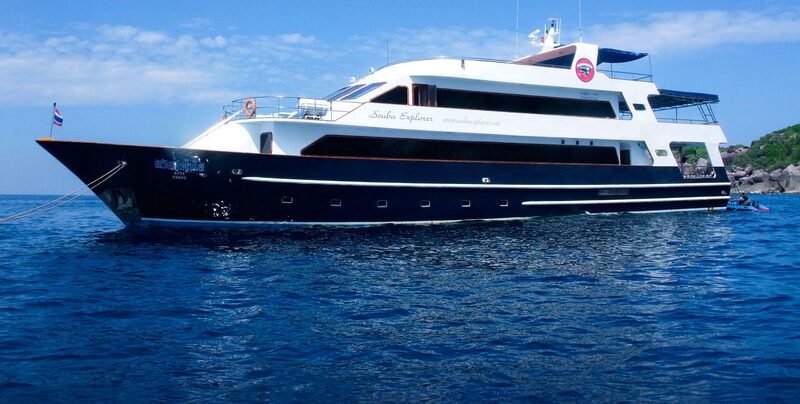 News, updates, special offers and detailed accounts of our luxury liveaboard diving holidays! You might not know this but your everyday average sun cream or sunscreen is killing coral reefs and we now require our divers to use only reef safe sunscreen and other eco-friendly sun care products. No word of a lie here folks, if your sun care products contain any of the following synthetic chemicals, you are helping contribute to high coral morbidity rates and are having an unseen and unimaginably negative impact on the coral reefs you are paying to visit. 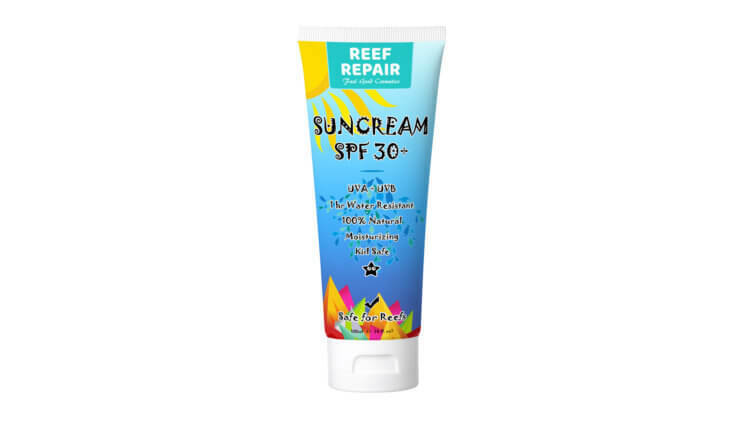 Reef Repair products are a great way to help save coral reefs because they are 100% natural and extremely effective sun care products. If your sunscreen contains these, you need to throw them away. We do not allow the use of sun cream containing these chemicals on any of our liveaboard scuba diving holidays. You can find out more information about how damaging these chemicals are to coral reefs by checking out this link explaining the impact of chemicals like Oxybezone on coral reefs. This entry was posted in Explorer News on July 10, 2018 by Simon. It originally happened fairly spontaneously one fine evening on the Explorer, no one wanted to night dive so instead we broke out a deck of cards and taught some of the guests the ins and outs of Texas Holdem Poker, which is fast becoming the worlds choice of poker styles due to it’s intelligent betting and bluffing options and simple learning curve. 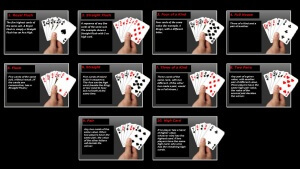 If you are not familiar with the rules, you are given two cards and three cards are put on the table, you then try to outwit the other players and form the best poker hand by betting or bluffing your way to two more table cards and a glorious victory or utter defeat. Obviously this is an over simplification of the rules, feel free to Google it, but the point is, that it is a super fun way to spend a few hours with your guides or fellow guests. We don’t play for money on the boat, or as yet we haven’t, we typically use mints, sugar packets and pens to represent our chips, 5$ = One mint, 10$ = One Sugar Packet, 50$ = 1 Pen. It’s hilarious to hear your opponent shout, ‘I raise you 3 pens’, you know it is game on when that happens. But more commonly you will hear ‘I call your mint and raise you 2 sugars’. We have had some great nights playing Texas Holdem for fun this way in a tournament style, lose your chips and your out setting, with 10 players to start and usually 2 players facing off against each other at the end for the glory and all the mints, sugars and pens we have onboard. It’s also a lot of fun to watch even if you went out early or don’t want to play, Texas Holdem tends to really bring out a persons character around the table, you’ll figure out pretty quickly which instructor and guests are practiced liars and those who can’t hide a good hand! We usually try to get at least one game/tournament going per trip, so don’t hesitate to let us know if you are Texas Holdem fan and want to be involved. I’ll see you on the boat, bring your game face! This entry was posted in Events and activities on December 18, 2015 by Simon. Don’t settle for cramped dive decks, don’t settle for being shoved by inconsiderate divers and don’t put up with lack of space to properly fit your equipment, dive in style on the Scuba Explorer from our massive dive deck. The deck consists of 44 Tanks spaces and a set up table in the middle. As you may have noticed we only take 22 guests at maximum capacity so that means everyone has room to swing, no cramped conditions on our boat! 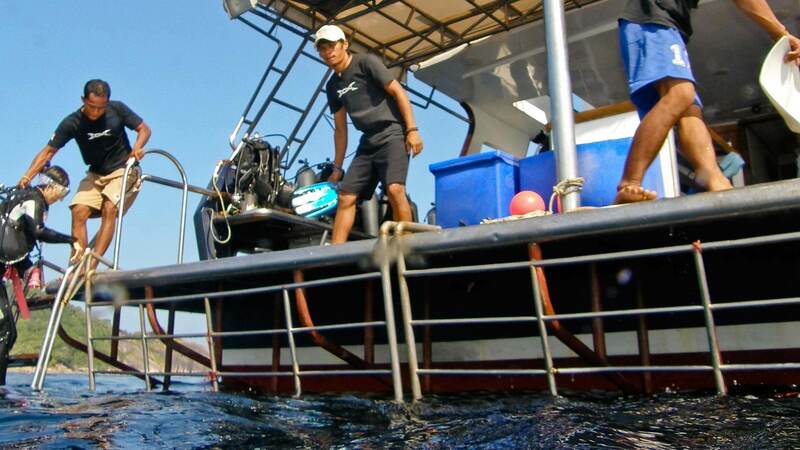 Our staff are also some of the best in the industry, our boat crew will help you in and out of your equipment and help you safely to the dive platform, which can easily stand several divers ready for entry. Our dive platform has one step to the dive deck, so no shuffling down staircases in your equipment, and no dangerous ladders to the deck or ribs. Diving from the Scuba Explorer is truly a pleasure, room enough for everyone to gear up, dive deck space to move around on and staff that will make sure you are safe and comfortable at all times! What more could you ask for? Don’t hesitate, book your luxury liveaboard holiday today and join us onboard the Scuba Explorer for the best diving holiday you’ll ever experience! This entry was posted in Inside the Scuba Explorer and tagged mvse on August 4, 2015 by Simon.